Home > News > Company News > What's the Main Function of Mobile Crushing Plant? 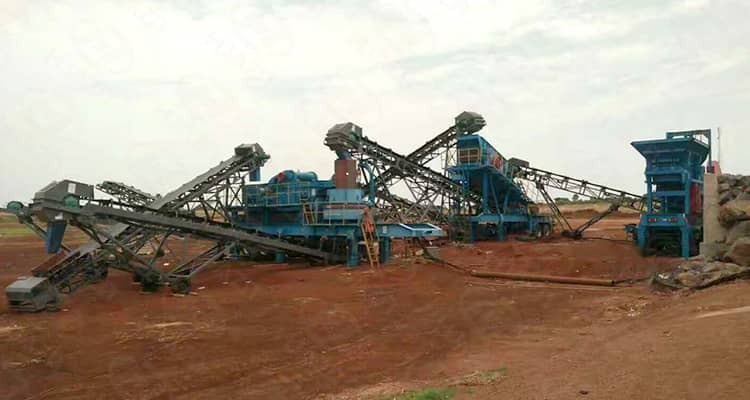 The mobile crushing and screening plant manufactured by Luoyang Dahua is to take multi-step crushing for the large stone, and classify the material according to the discharging granularity. This integrate unit can complete the crushing and screening work at one time and produce the required output and products granularity, which is applied in the industry of mining, building materials, roads, railways, and water conservancy. Each crushing plant is a separate unit that can perform their respective responsibilities. Previous Article：What Should be Paid Attention to During the Production and Use of Jaw Crusher?